Vivian’s role in Plunket is to provide national leadership to increase engagement and support to the Asian communities. She penned the Asian Peoples Strategy, the first national strategy targeting the Asian population from a health agency in NZ. Vivian has vast interests and experience in Asian Health, she helped start the Asian Health Support Services in Waitemata DHB, and was the first National Manager Asian Development at ACC (Accident Compensation Corporation). Vivian has been involved in different community organizations, including as the founder and the Chair of TANI (The Asian Network Incorporated). Under her tenure as the Chair, she co-authored the Asian Public Health Report and saw the publication of an Asian epidemiology report, which is believed to be the first of its kind in NZ. She led the organization to be the first community organization in NZ to gain funding from Ministry of Health to deliver public health initiatives in the Asian community. Vivian was also a Board member of ARMS (Auckland Regional Migrant Services Trust) and CNSST (Chinese New Settlers Services Trust). In 2003, Vivian penned the Asian Chapter in the 2nd NGO Report to UNCROC (United Nation Committee on the Rights of the Children), first NGO report addressing rights of Asian children in NZ to UNCROC. In the same year, Vivian was one of the one-hundred selected as Emerging Leaders in the Knowledge Wave Conference in NZ. In 2004, she represented NZ (first in NZ) to attend the Dragon100 forum (100 Youth leaders selected world-wide) in Hong Kong and Beijing. Vivian has a Masters Degree in Psychology (Hons) from University of Auckland, and gained accreditation status as a mediator from LEADR (now Resolution Institute). 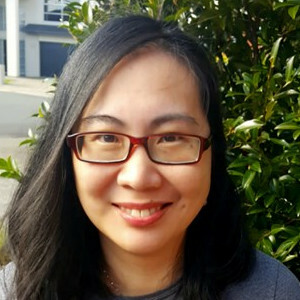 Vivian is currently a member of New Zealand Psychologists Board’s Cultural Advice Reference Group and a member of the Advisory Committee for the Centre of Asian and Minority Health, School of Population Health, University of Auckland.